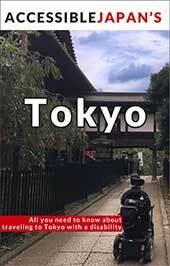 Zojoji Temple is one of Tokyo’s most important temples. While it may not look wheelchair accessible, a large part of the temple grounds can be accessed by wheelchair users and those with mobility needs. 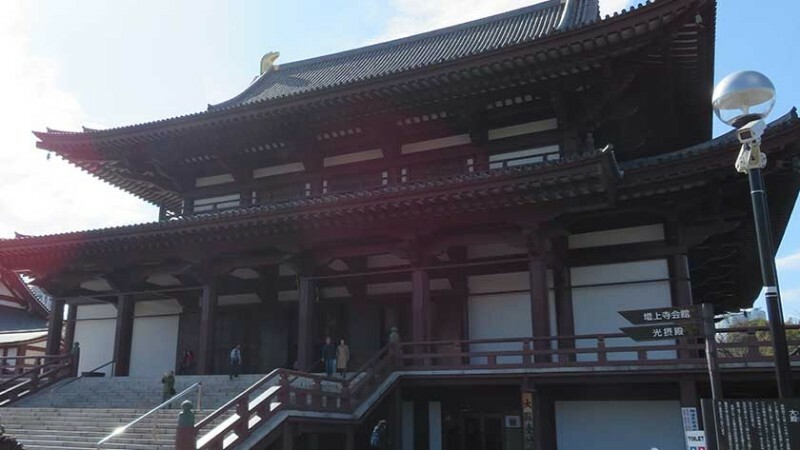 Zojoji Temple (Formally San’en-zan Zōjō-ji 三縁山増上寺) is a Buddhist temple located in the Minato Ward of Tokyo, Japan. 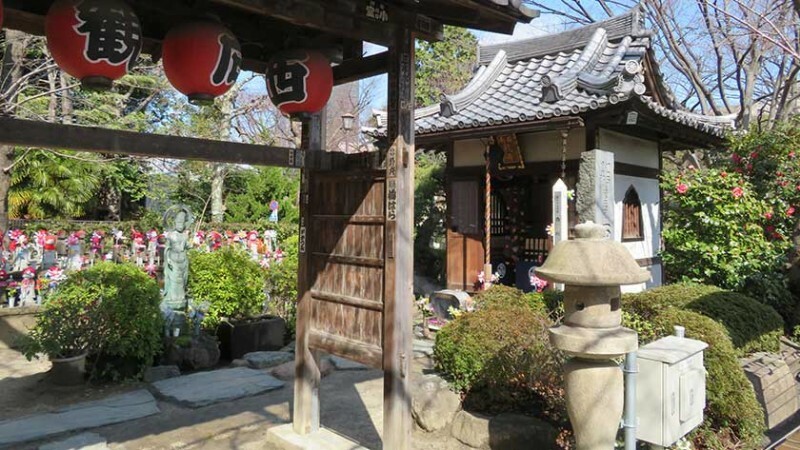 It was initially built during the Muromachi period in 1393 and currently serves as the main temple for the Chinzei Sect of Pure Land Buddhism in the Kanto Region. Zojoji is known for its grand architecture and affiliation with the Tokugawa clan, who ruled Japan during the Edo Period (1603-1868). 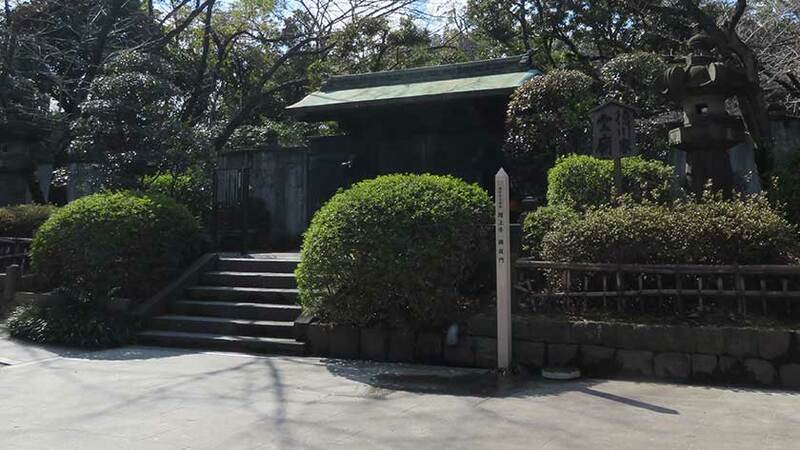 Six of the fifteen Tokugawa shoguns are buried within its Taitoku-in mausoleum, and its main gate is the oldest wooden building in Tokyo (est. 1622). 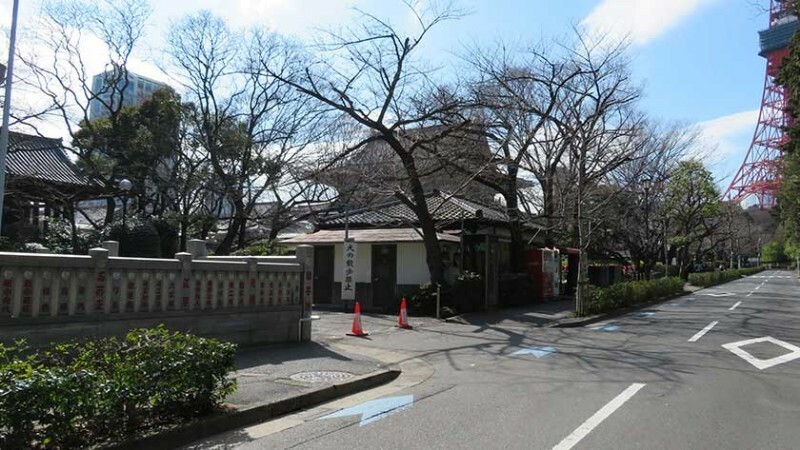 Zojoji Temple also boasts a Treasury Gallery and houses paintings by Kano Kazunobu, one of Japan’s most renown artists from the early modern period. The temple holds annual celebrations at New Year’s (Hatsumode) and during the summer (O-Bon) as well as routine events like sutra copying and prayer sessions. 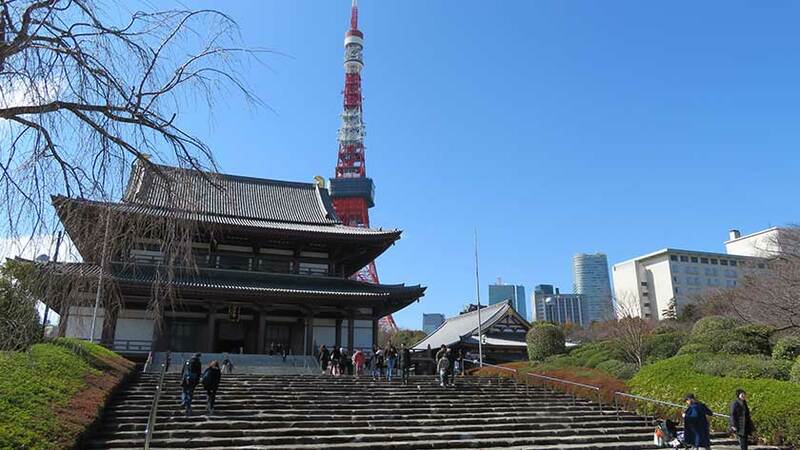 It is surrounded by Shiba Park and sits in front of Tokyo Tower, making it an ideal location for sightseeing and relaxation. 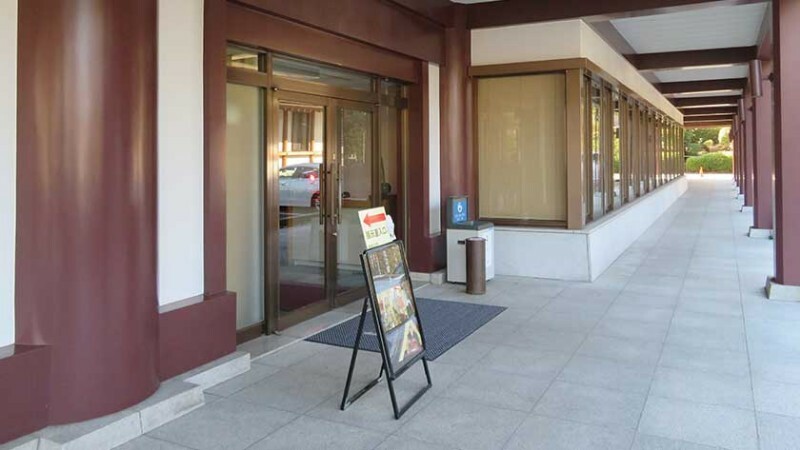 The temple is open daily from 9:00 to 17:00 and is free to enter. 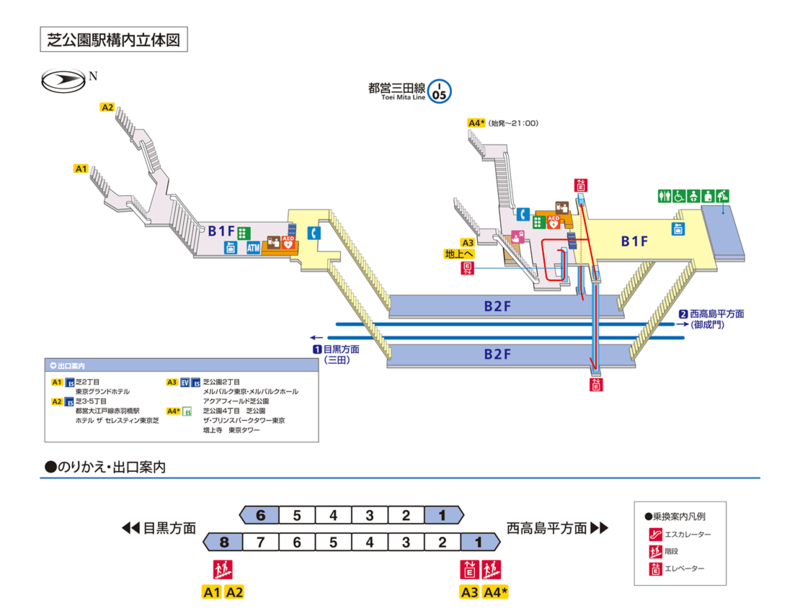 The closest subway stations to Zojoji Temple are Onarimon Station (Exit A6) or Shibakoen Station (Exit A3) on the Mita Subway Line and Daimon Station (Exit A1) on the Oedo Subway Line. 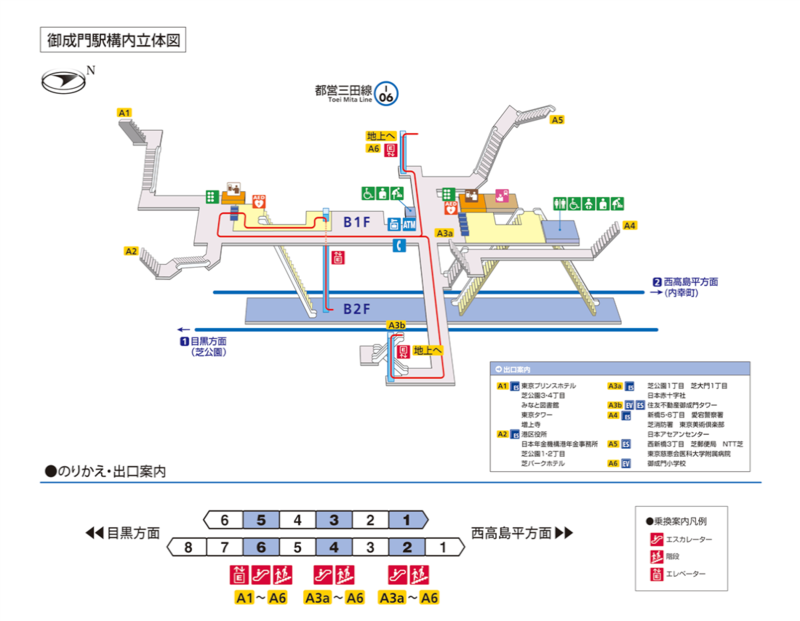 All three stations are wheelchair accessible. 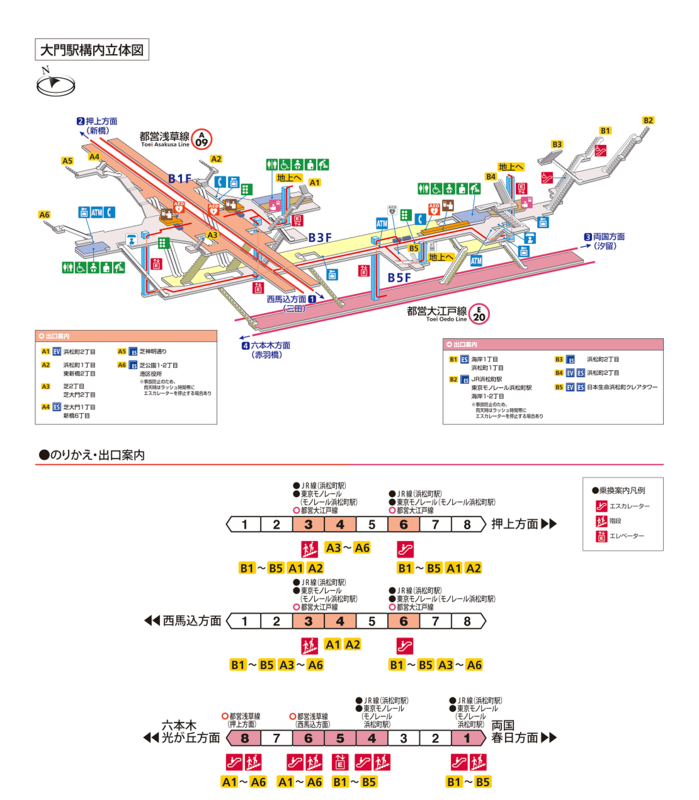 Click the station name to see a station map. 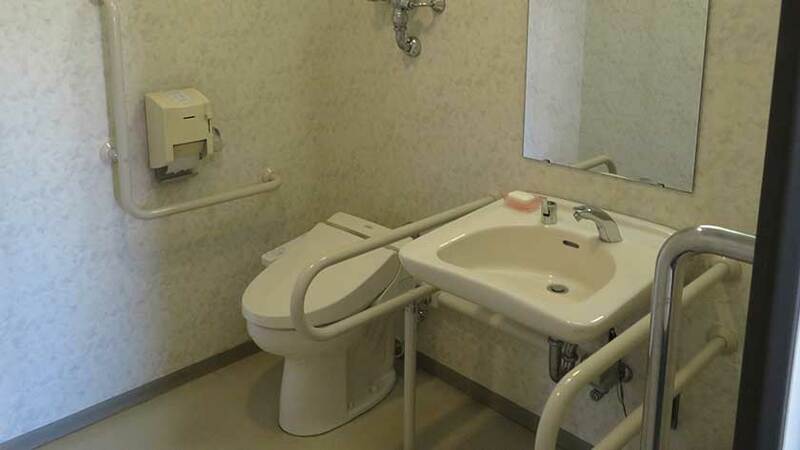 At first glance Zojoji Temple does not appear wheelchair accessible. 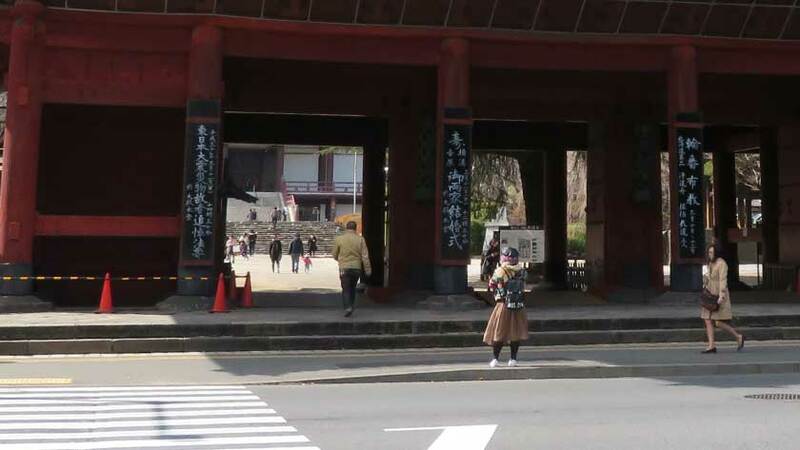 The main Sangedatsumon gate has ramps crossing the threshold, but 2-3 steps before them. 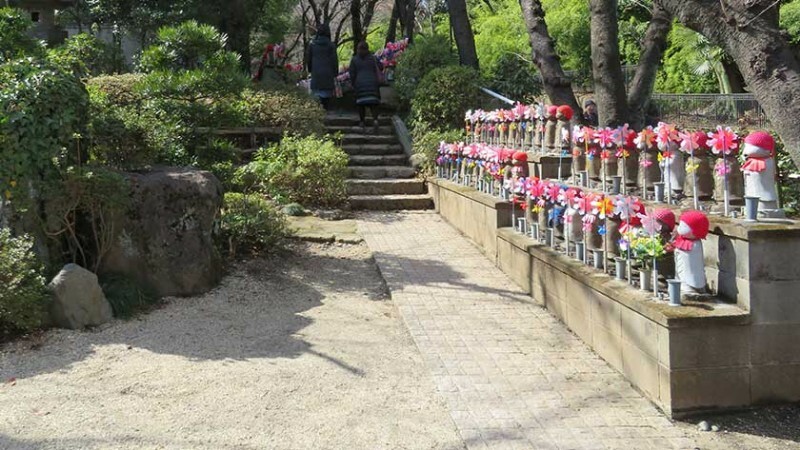 While an entrance to the left (when facing the temple) allows access to the temple grounds, entering this way leads to deep gravel at the bottom of the main stairs. While you can access the ramp to the upper levels on the right side of the temple (when facing the temple), the deep gravel makes the path difficult/impossible for even those using power wheelchairs. 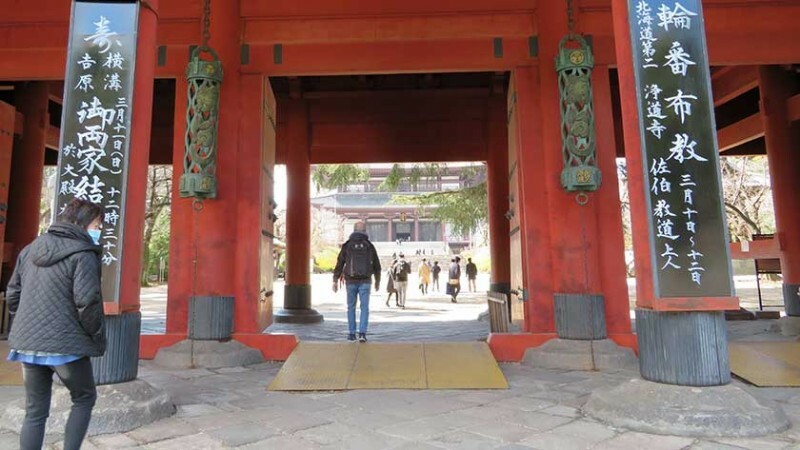 Instead, it is recommended that wheelchair users take the small street to the right of the main gate (when facing the temple) which leads to a smooth entrance to the temple grounds. This smooth road allows access to most of the grounds including up to the entrance of the mausoleum. Unfortunately, the mausoleum itself is not wheelchair accessible. 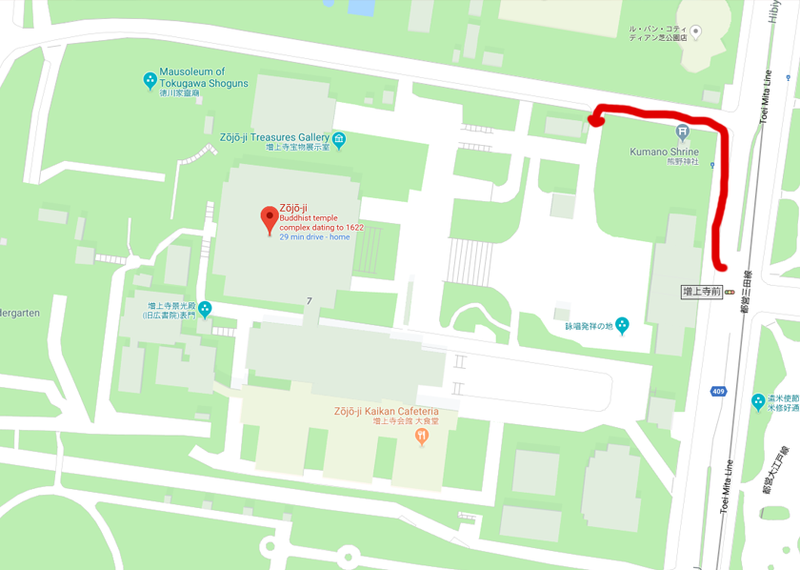 The temple office (located to the left when looking at the temple) has accessible washrooms but be sure to ask to be guided as some areas are off limits to visitors. 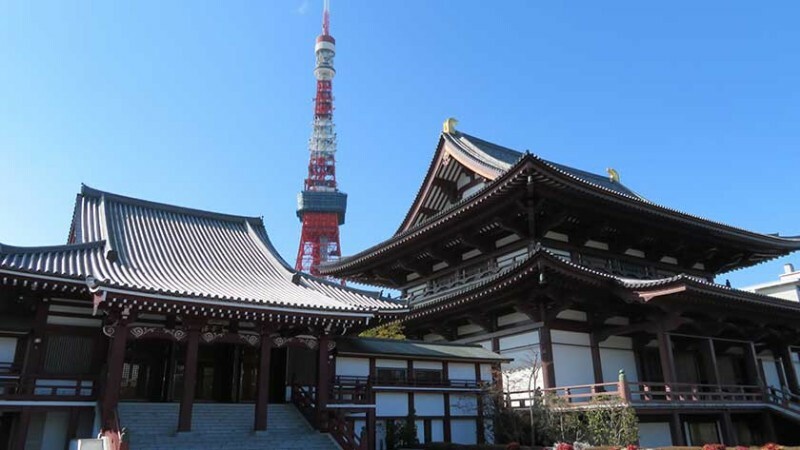 Zojoji Temple is one of Tokyo’s most important temples and is also a beautiful place to snap pictures of the temple with Tokyo Tower, two Tokyo landmarks in one shot! 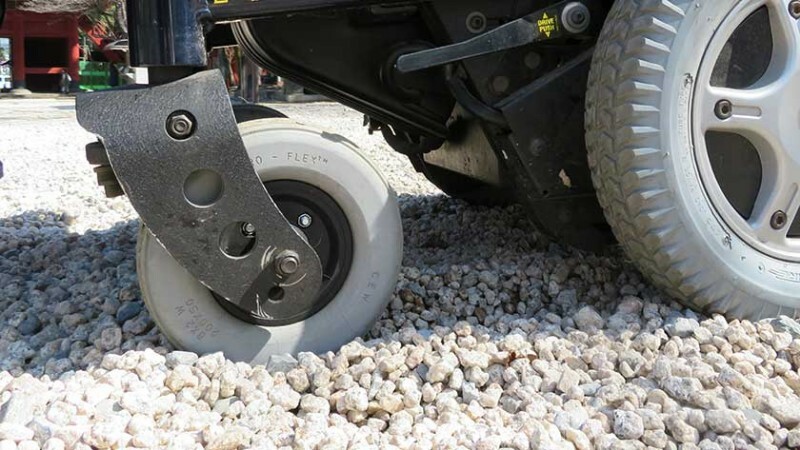 Do not be thrown off by looks – while the temple may not appear accessible at first glance, 60-70% of the grounds are wheelchair accessible to one degree or another. Mark Bookman received his B.A. from Villanova University in Global Interdisciplinary Studies in 2014 prior to researching Buddhist Philosophy as a Fulbright Fellow in Japan. He received his M.A. 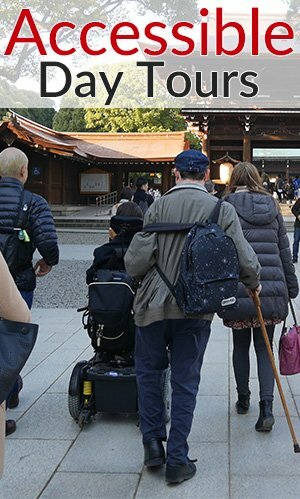 in East Asian Languages and Civilizations from the University of Pennsylvania in 2016, where he currently studies the history and politics of disability in Japan as a PhD student. When he is not working on his dissertation, “Politics, Prosthesis, and the Popular Imagination: 100 Years of Disability,” Mark collaborates with local advocacy groups to promote equity and access for as many individuals as possible and created Accessibility Mapping Project (AMP) at the University of Pennsylvania. 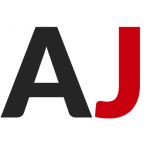 Leave your questions or comments about Zojoji here!